THE WISHING FESTIVAL is on right now! Over the 4th and 5th January I’m hosting a fun Facebook event, The Wishing Festival, to coincide with the release of my new book THE JANUARY WISH. At the event you can make a wish for 2014 in the virtual Wishing Fountain, share a wish for your friends, and answer fun questions to go in the draw for prizes! Lots of opportunities to win, and we are having a ball! I’ll be popping in and out throughout the whole weekend, posting questions and pics and giveaways periodically. You can drop in anytime and scroll through the list of posts that have already been made and enter as many of the prize draws as you like. Just remember to confirm your attendance to the event by clicking ‘join’. Make a wish… Take part in THE WISHING FESTIVAL! To celebrate the new year, my new book, and to spread some new year’s cheer around the world (well, Facebook at least), I’m hosting the inaugural Wishing Festival in January! You are all invited, and I hope to see you there (details below). So instead of going to the trouble of finding a fountain and getting my friends from around the globe to trek all the way to my little part of the world, I’ve created an online version of the event! 1. Make a wish – toss a virtual coin into the virtual fountain and make your wish! In other words; post your wish to the event page, or in the comment thread of the wishing fountain picture and the ‘make a wish’ post that I’ll put up there on the day. *If you have a private wish, you can simply post: ‘I have made my wish.’ Let’s all support each other’s wishes and some may just come true! 2. 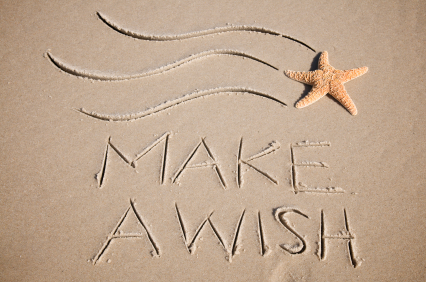 Pay a wish forward by sharing the event logo on your Facebook wall, page, group, or on a friend’s wall. (The event logo can be seen on the event page now, but on the day I’ll post it again officially and let you know when it’s time to start the share-fest!). When you share the picture, include a message for your friend or all your friends in general, and tell them what you wish for them in the new year. For example: In 2014 I wish for you…an abundance of success in your career, or ...optimal health and happiness, or anything you think your friend/s might appreciate. You may also like to encourage them to share the logo and a wish to their own friends as well. 3. Win prizes! Throughout the whole weekend you could win a heap of different prizes, from books to gift cards to writing critiques to jewellery and other goodies (I’m currently collating some great prizes. If you would like to donate anything please do so via this link). Simply register for the event by clicking ‘Join‘. All registered attendees will be automatically put in the draw for a prize, even if they can’t take part in the fun (though I hope they will)! Share the event logo and a wish for your friends over 4th and 5th January. Post your wish on the event page or (preferably) the official ‘make a wish’ post over the weekend. Leave a comment on any of my posts during the event. I’ll let you know in each post which prize is up for grabs so you can enter all or just the ones you really want! 4. Have fun! Get sneak peek excerpts from The January Wish novel (and maybe even the next book in the series which doesn’t release till Feb! ), meet the characters, answer trivia questions and scavenger hunt questions to win prizes, ask me questions, chat with other attendees, mingle with surprise guests, and enjoy gourmet virtual food and drinks all served by the gorgeous Jonah from Tarrin’s Bay’s most popular cafe: Cafe Lagoon (Jonah is a character in the book). So before the mayhem of Christmas and New year’s takes over, head over to the event page now and click ‘Join’, and invite a few friends too if you like. Here’s the link. Would you like to donate a prize for the event? Click here. Donations close 19th Dec.
Make a wish … Pay it forward … Win a prize! Join THE WISHING FESTIVAL!